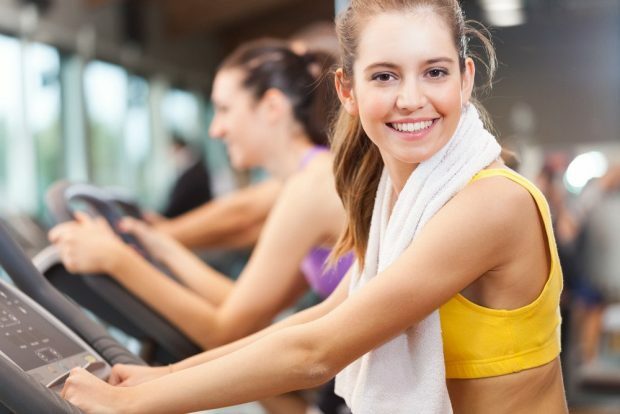 Wearing makeup when exercising can block your pores and is generally not healthy for your skin. Make an effort to remove any foundation before you start your workout. If exercising without makeup is not an option for you, waterproof mascara and lip gloss is okay to wear. Blush and powder should always be removed. If the first tip doesn’t resonate with you, let’s share the fact that if you work outside or in a factory, you may have dirt and oils on your skin. 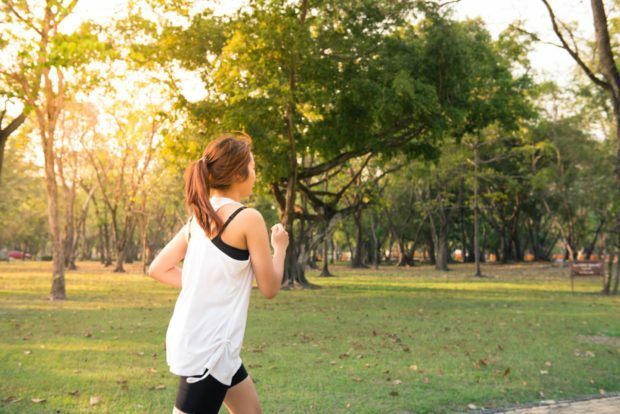 If you start your exercise routine with excess oils and dirt on your face, once you start to sweat and your pores open up, they can become blocked and cause a breakout. Make an effort to wash your face before you exercise. A lot of people sweat right at their hairline, and it runs down their face when they are exercising. Wearing a headband helps because it catches the sweat and prevents too much from reaching problem areas such as the T- zone or chin. As a result, you won’t touch your face to wipe away the sweat and add excess dirt to your skin. Skin problems are not restricted to just the face. The back and shoulders can be prone to breakouts, too. Exercise mats are the perfect breeding ground for bacteria. Protect your skin by wearing exercise clothing that covers the areas of your body that touch the mats and exercise benches, or by placing a towel down before you exercise. As soon as you’re finished with your workout, wash your face to remove the sweat that’s on your skin. Using a facial moisturizer or serum will help to hydrate your skin from the outside. If you drink plenty of fluids to avoid dehydration, this will also help with the appearance of the skin. Many people exercise outdoors. If you’re one of them, it’s essential that you wear sunscreen or UV protective clothing to protect your skin from any problems that are caused by sun exposure. Avoid skin irritation caused by chaffing by wearing comfortable clothing that’s designed with exercise in mind. Exercise specific fabrics can help to wick sweat away from your body and prevent unnecessary rubbing of material against your skin. Now that exercise clothing is quite fashionable, it’s easy to get into the routine of running errands in your workout clothes. This can allow moisture to sit close to the skin. Because many fungal infections can grow easily in a moist environment, keeping your tight gym clothes on can cause an array of skin issues. After a workout, shower as soon as possible and put on some fresh clothing. If you want to spend the day looking sporty in a comfortable gym outfit, simply bring a fresh one to the gym with you. This article was written by Samantha Clayton, Vice President of Worldwide Sports Performance and Fitness at Herbalife Nutrition.